Email is one of the oldest communication channel since the invention of Internet. Most people around the world use this service daily to keep themselves informed and updated. However, most Android smartphone users don’t like the stock email client so they are looking for good alternatives to make browsing or sending emails more conveniently. Actually, there are many powerful third-party email apps so we picked up the best 3 from a longer list we tested out. 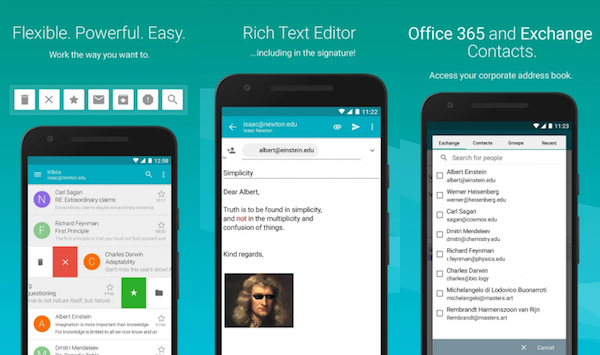 If you have an urge to diversify the emailing experience then have a look on the best 3 email clients for Android available right now. 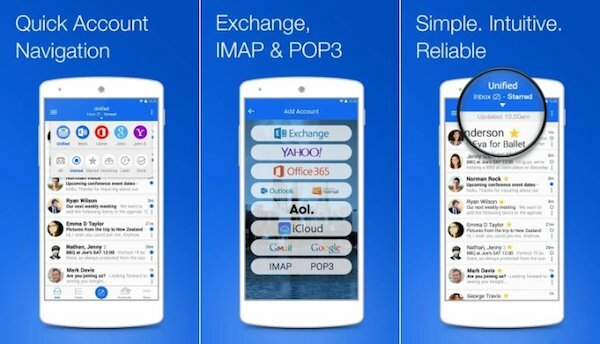 Blue Mail is one of the most popular email apps available at his moment. 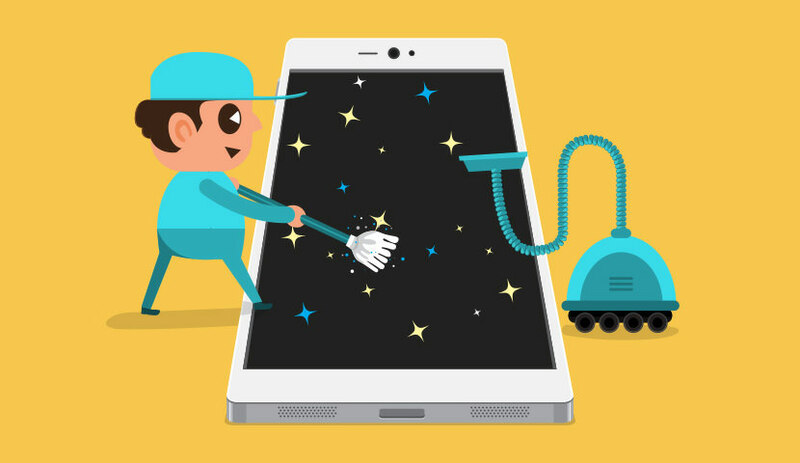 Western and European countries almost thrives to install this app, which has over 4 million downloads in Google Play Store. It supports multiple email clients, from popular email clients like Gmail, Yahoo, Hotmail, etc. to third-party email services. It can manage all of your accounts in one single place. It even has miscellaneous other fun features like Android Wear, customizable menus, several themes and so on. 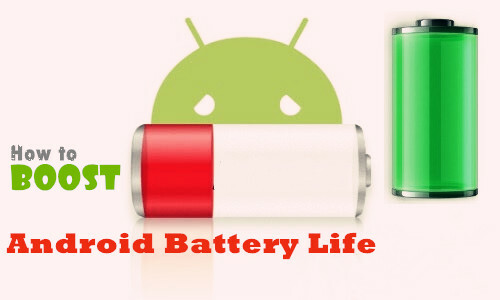 P.S it is very important to backup your email on Android to protect the data. Support several providers like Gmail, Hotmail, AOL, Yahoo, iCloud, Office 365 etc. IMAP, POP3 and other custom auto configuration emails are supported. Sync emails in real time. Instant push notification for newly received emails. Custom sounds for received emails. Day & Night mode is available. Customize the menus and widgets according to your requirement. App lock security feature is provided with the app. Aqua Email is one-in-all solution for those who has multiple email accounts.. No complicated user interface, no extra go through steps, no non-sense experience, just install and have it your way. All you need to do is add email and passwords and you are all set. It has a powerful user interface that also allows you to add emails from your own servers and several different email platforms. Multiple accounts are supported like Gmail, Yahoo, Hotmail, Apple, AOL, etc. and give you the option to search them individually. IMAP push email is enabled. Flagging, filtering, marking favorites and other self help options are available. It supports IMAP, POP3 as well as Exchange 2003/2007. Backup and restore all emails offline. Shortcuts and widgets are provided with the app. 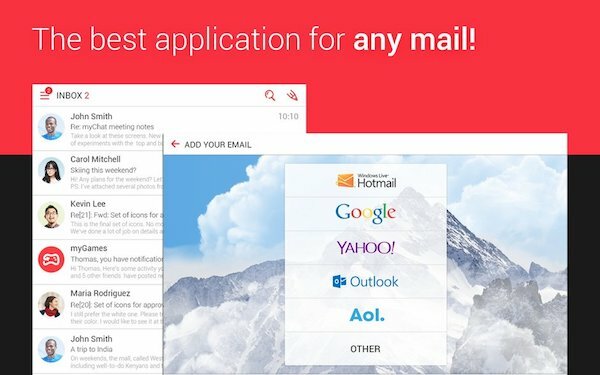 myMail supports 9 major email providers that everyone use in their daily lives. However, it also supports to set up IMAP, POP and SMTP emails that are hosted in your personal domain names for corporate usage. Real-time pop or push notification when you receive a new email. Contacts are organized by their own avatars. Search contacts from your device or associated email accounts. Attach files from your smartphone by browsing them directly. Amazing user interface with ActiveSync protocol. Delete multiple emails with one swipe. Snooze emails to look at them later in free times. View multiple emails at the same time. Definitely every Android device can not function without a Gmail account. You won’t be able to play with Google Play Store as well as run Chrome. 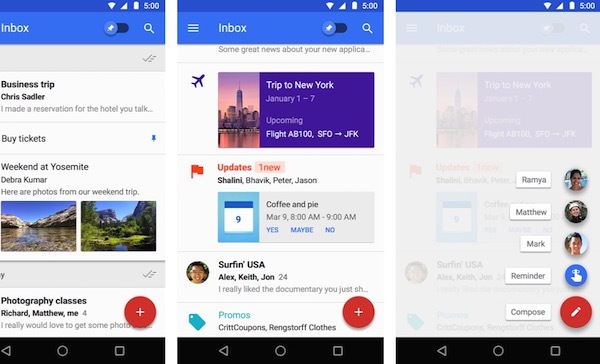 Inbox by Gmail is actually made for Gmail users exclusively. The main attraction of this app is the smart features. It can actually bundle up all your emails by topics so that you could go through the emails more sophisticatedly. I mean who doesn’t like an organized email list, right? View emails without even opening the app. Check-in flights, hotels, reminders and other activities. Preview pictures from your friends and families sitting right in front of you. Same emails will be bundled and tied together to deal them all with once. Gmail messages will be synced right away. Perhaps the oldest email app to this date is K-9 Mail. If you like a straight forward emailing app then you should definitely go for it. No complicated user interface, no extra go through steps, no non-sense experience, just install and have it your way. It’s not fancy looking but will get the job done flawlessly. Moreover, this is an open source which means you can head over to the Github community and start building it yourself. It may not be good looking but at least its fully functional and very lite in weight as well as it’s free to use. Multiple accounts are supported and give you the option to search them individually. And there you have it. All the best emails available on Google Play Store, ready to serve you. If you believe we have missed any top email client then don’t forget to mention them in the comments below so that we can expand this list. Hopefully, you guys found this article useful and feel free to share it with your friends.